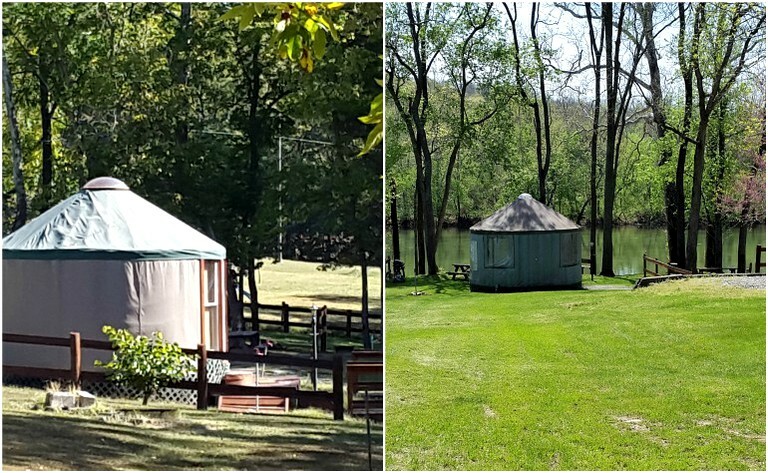 This beautiful and pet-friendly waterfront yurt for rent is located near Washington, D.C., and boasts incredible views of the Shenandoah River and Blue Ridge Mountains. 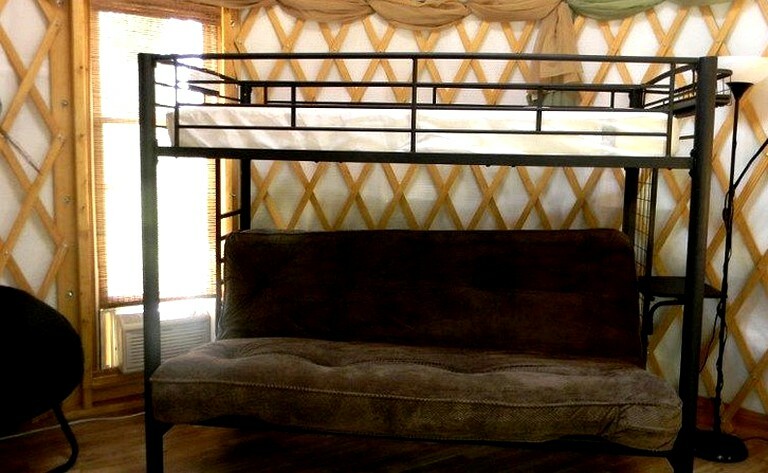 The yurt can accommodate up to four guests, with a full-size futon and twin bunk bed, as well as an additional twin futon. 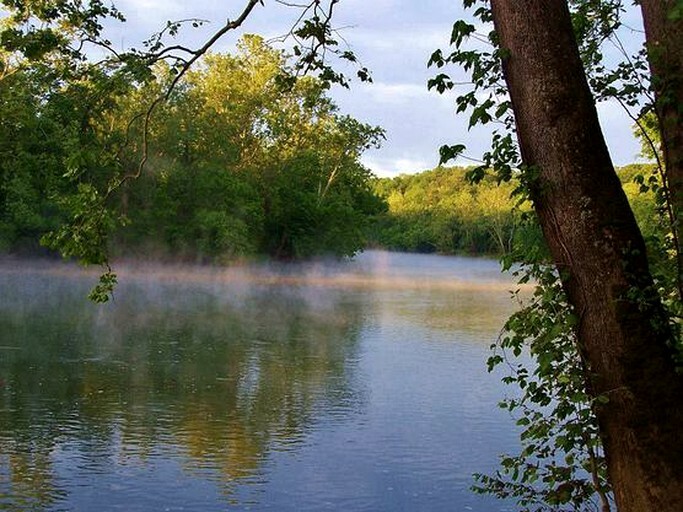 Comforters and pillows are provided, but guests must bring their own linens, blankets, and/or sleeping bags. Linens can be provided for an additional fee of $25 per two people, which is payable upon arrival. 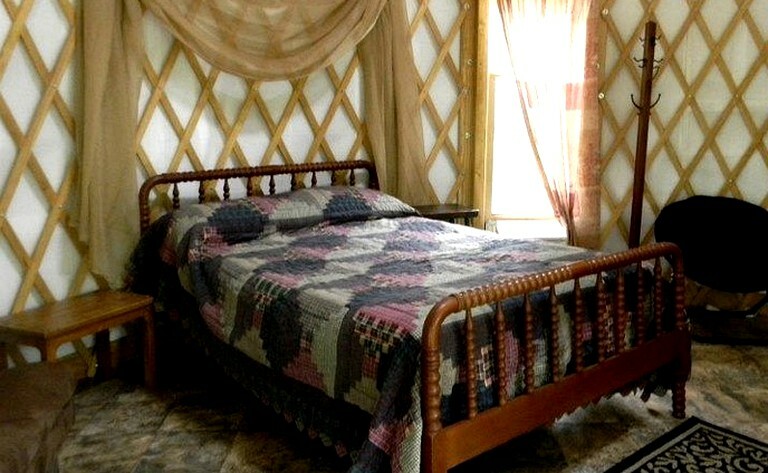 Guest will have access to a full-size "comfort station," or bathroom facilities, which is within steps of the yurt. There are men's and women's rooms, including two shower stalls, three toilets, and sinks, as well as hot water and propane gas wall heaters. Toilet paper and hand soap are provided, but towels are not. 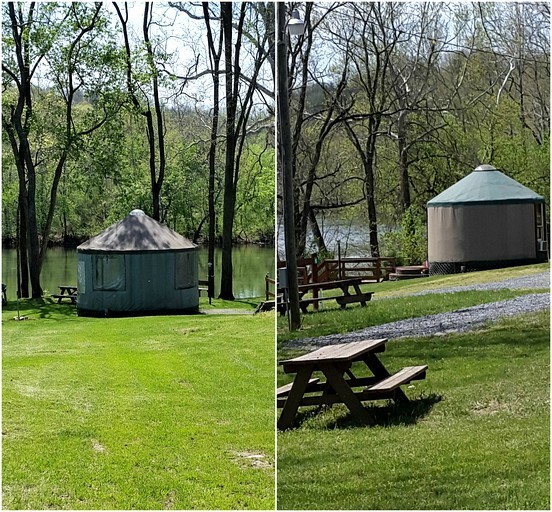 All yurts are at the edge of the river, offering guests a picturesque view as the sun rises and sets. 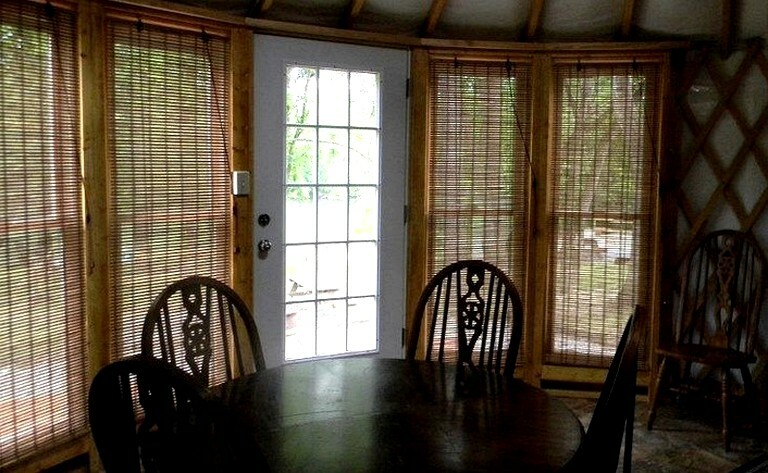 They feature log-accented porches that give them a rustic feel. 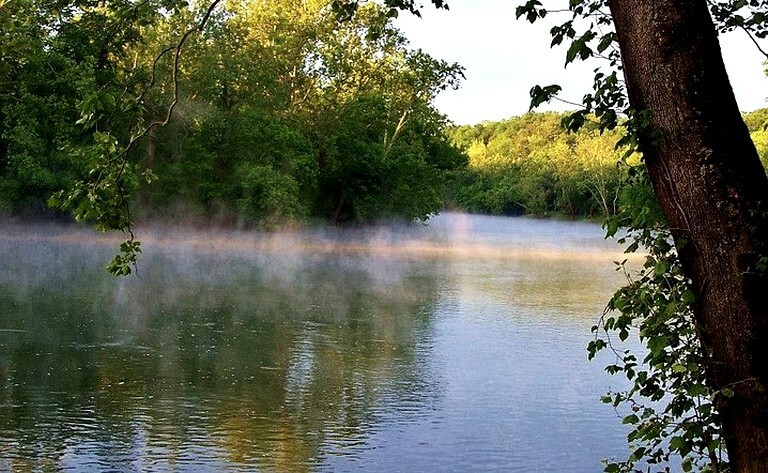 In addition, the property offers a comfort station with hot showers, three toilets, three sinks, and two shower stalls in each men's and ladies rooms that are clean and well-maintained. 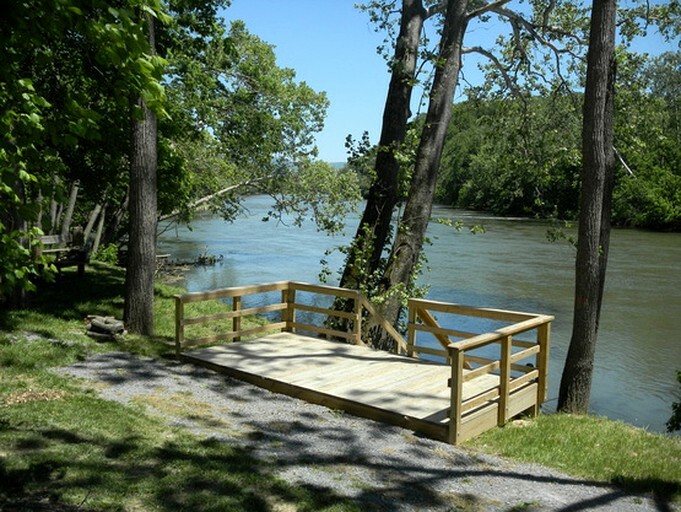 Guests will also have on-site electricity, water hydrants, a playground set for the children, fire pits that double as charcoal grills, and a picnic table. 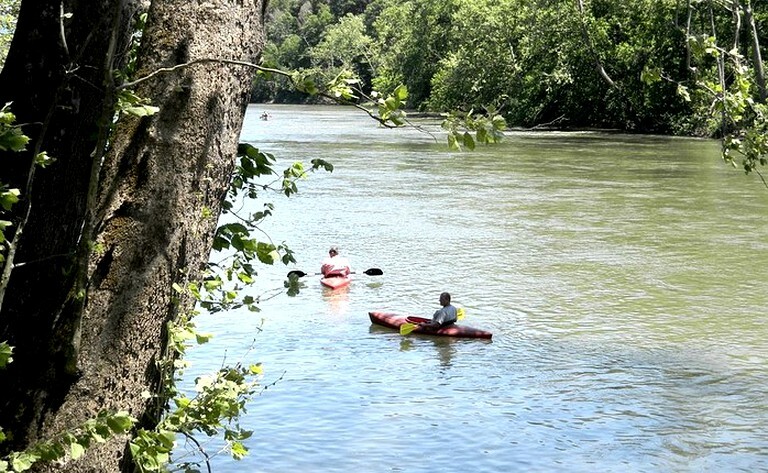 Below all checked activities are within 30 minutes of the property, with the majority either on-site or within 15 minutes. Children under six years old stay for free. Pets must be pre-approved and pet fees of $10.00 per pet per night apply. 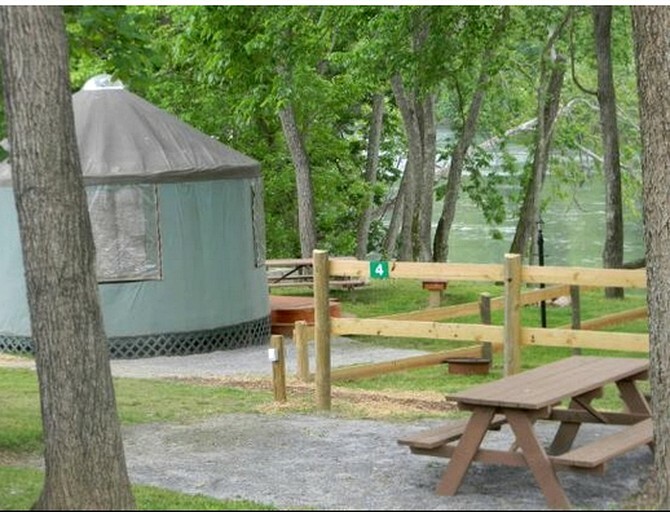 Please do not leave pets unattended inside yurts or on the property. Guests should please remember to book their trip as soon as possible. Dates are not held until booked and confirmed from the owner. Linens with towels can be provided for an additional $25.00 per set. Otherwise, guests must bring their own linens.